January can be hideously dull. Today is one of those days. Grey clouds have come and swallowed the whole sky. Even though it isn't exactly cold - the air is damp and still and it makes going outside feel deeply unattractive. This afternoon, when the girls get home from school, I'll set them up with a craft project to keep them busy. 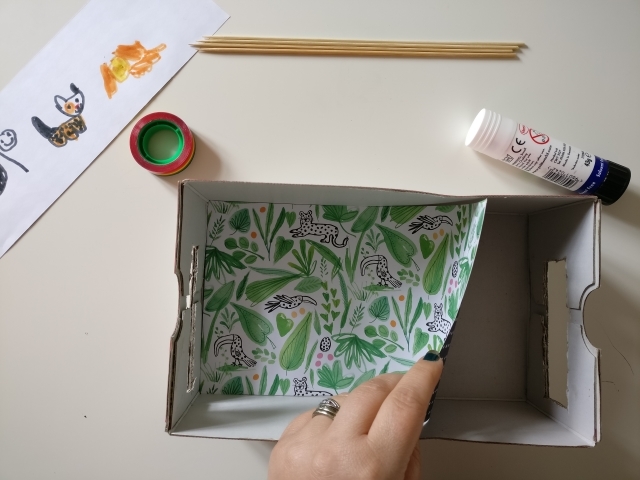 Chances are I'm not the only one who feels like staying indoors a lot these days so here's a playful little project* to keep little hands and imaginations busy for an afternoon. 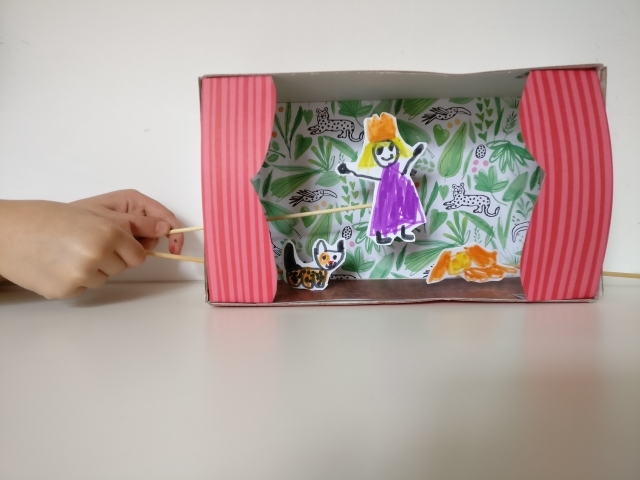 Easily turn an empty shoe box into an old-fashioned puppet theatre and let your children’s imaginations run wild. 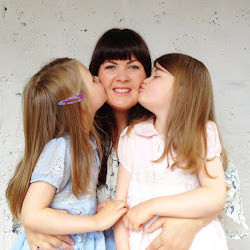 They can tell all their favourite stories or make up new ones of their very own. A perfect activity for a chilly afternoon. 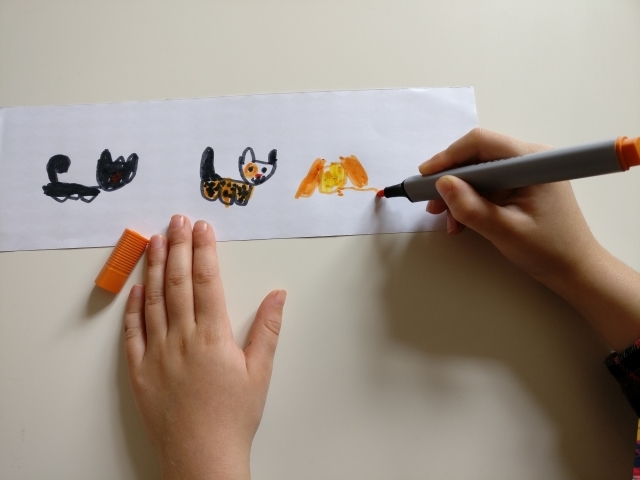 First, get your child to draw some ‘puppets’ for their show. Make sure they won’t be too large by cutting the paper they are drawing on down to a size that is smaller than the base of the shoe box. 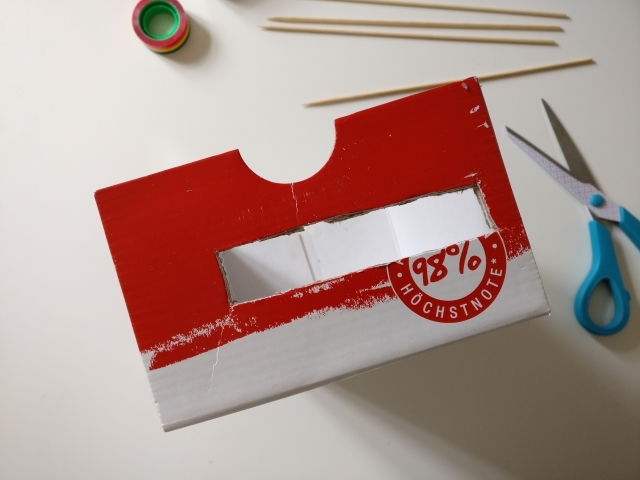 While your child is busy drawing, you can cut an opening in both sides of the box. 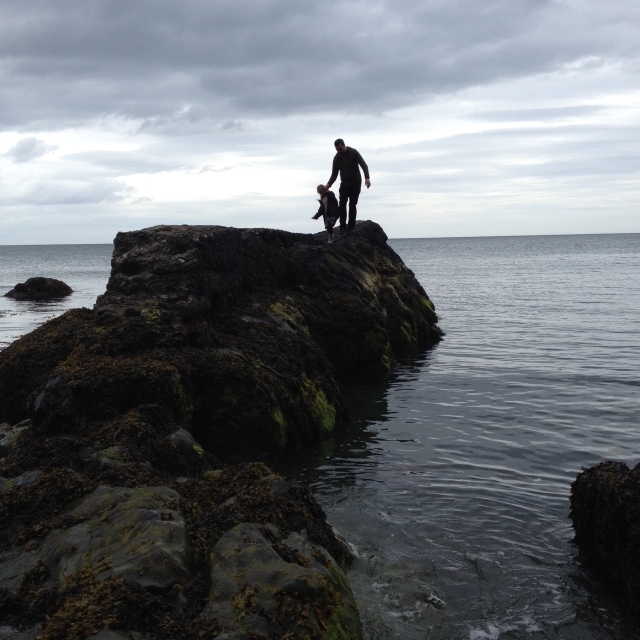 This bit is tricky and definitely a job for the grownups! Now it’s time to decorate. 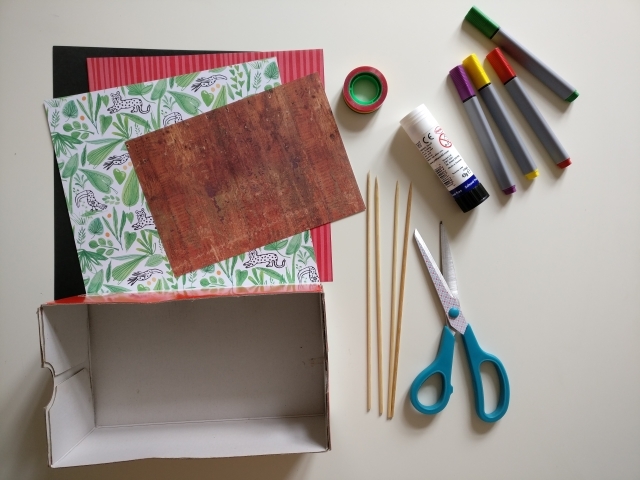 Add some coloured paper to the base of the box as a backdrop and glue in place. You can also add a ‘stage’ using more coloured paper. 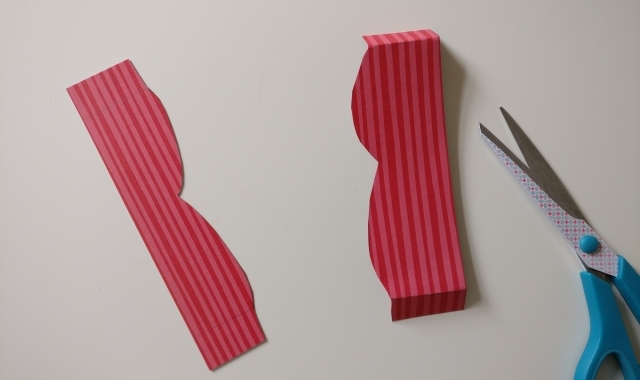 Cut out some simple ‘stage curtains’ and fold back some tabs at each end to make it easier to glue them in place. Glue the characters your child has drawn onto the stiff card and neatly cut them out. 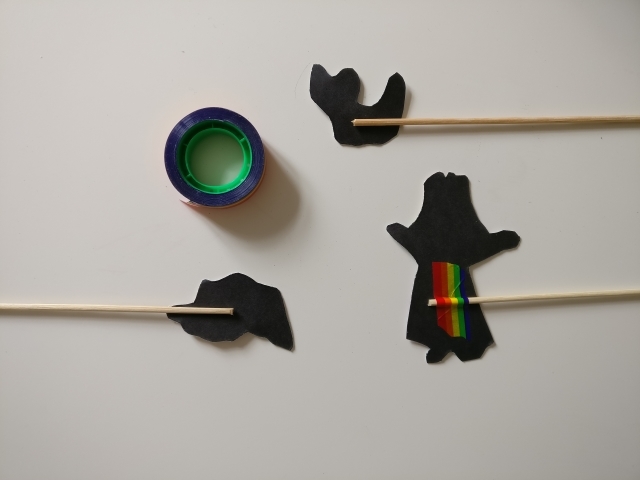 Attach a skewer (remove any sharp tips first) to the rear of each character with a piece of tape to turn them into puppets. The theatre is now ready to be played with. Slot the puppets through the openings in the side of the box and let them take to the stage! 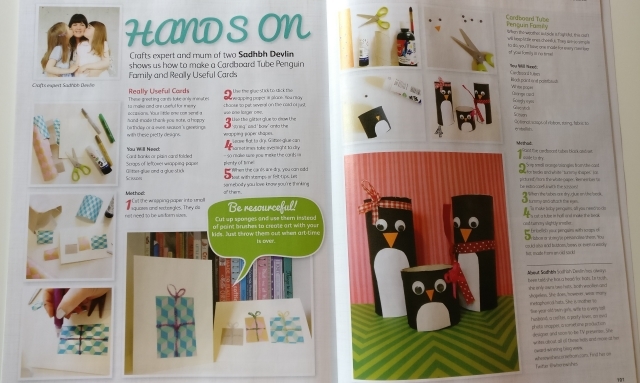 Grab the latest edition of Easy Parenting Magazine for some more craft ideas or visit my CRAFTS PAGE here on the blog! December/January Edition. In stores NOW! Just €2! My middle fella will love this when I show him.